Jenny Hawk has lived on the Outer Banks for 15 years. She has been flying since 2006 and has over 8000 hours of flight time. Her dream has been to teach people to fly since the first time she took a flight lesson with her first flight instructor, Dean Morris. 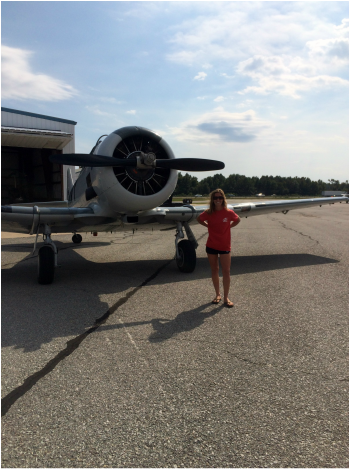 Jenny's experience locally includes charter flights to the Outer Banks, towing banners for OBX Airplanes, air tours, aerobatics and photography flights. OBX Airplanes is proud to add her enthusiasm, motivation and unique background in aviation as one of our Certified Flight Instructors. We promise with Jenny as your CFI/II all of the time spent working towards your goals will be productive, fun and rewarding. 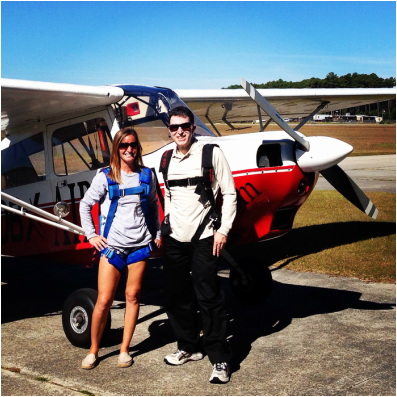 Jenny will make it her priority to help you meet your piloting goals and will be happy to work with you on YOUR time. Call her today at 252-489-8165. 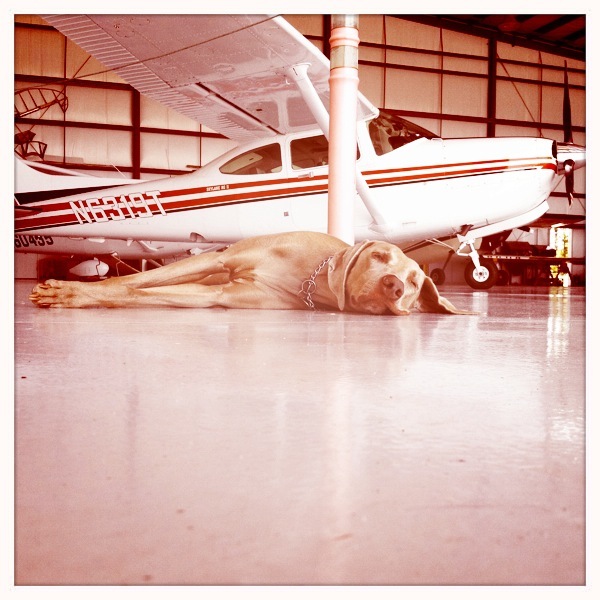 It won't take long after you start flying with Jenny that you'll meet her Weimaraner, Birdy. Birdy's the classic airport bum. She's always excited to drive down Airport Road.